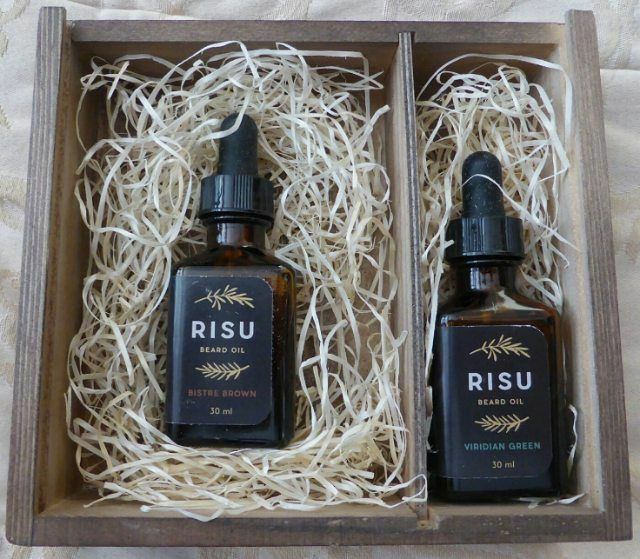 I have just finished using Risu ‘Bistre Brown’ Beard Oil a brand who are based in Helsinki, Finland. ‘Bistre Brown’ is a warm rich oil with a slightly sweet, spicy smell, like all beard oils it should be dispensed into your palm and then warmed by rubbing your palms together, this releases the full scent of the oils. Like the ‘Viridian Green’ oil it sits between a thin and thick oil with a consistency that gives your beard a nice hold and leaves it looking and smelling great. Argan Kernel, Grapeseed, Apricot kernel, Sea Buckthorn Seed Oil, Rosemary Leaf Extract and Sunflower Seed carrier oils into which is blended , Vetiver and Frankincense essential oils. I am a big fan of both of these essential oils, Frankincense is a warm, rich and sweet oil that not only has anti-ageing properties but it also reduces heart rate and blood pressure and it has a positive effect on our emotions and when inhaled can help with relaxation, relieve anxiety, anger, and stress. Vetiver has an earthy and slightly citrus scent and is also very calming and so these two oils work perfectly and if you need to relax, what a way to do and have an awesome looking beard! ‘Bistre Brown’ Beard Oil from Risu comes in a rectangular 30ml glass bottle with a glass dropper for dispensing the oil. Its available from the Risu website for €35.90 with free delivery throughout Europe or you can have it delivered in a pine wood box for €41.90. You can also keep up with all things Risu on Facebook , Twitter, Pinterest, Instagram and YouTube.